Historic tax credits and Keystone grants are vital tools in revitalizing older buildings, neighborhoods, and communities. These financial incentives encourage private investment, create jobs, and return abandoned or underutilized properties to active service. Successful projects balance the building’s and neighborhood’s historic character with the property’s new or continued use by using the National Park Service’s Standards for Rehabilitation as guidance. How can architects, design professionals, communities, and property owners take advantage of these programs? 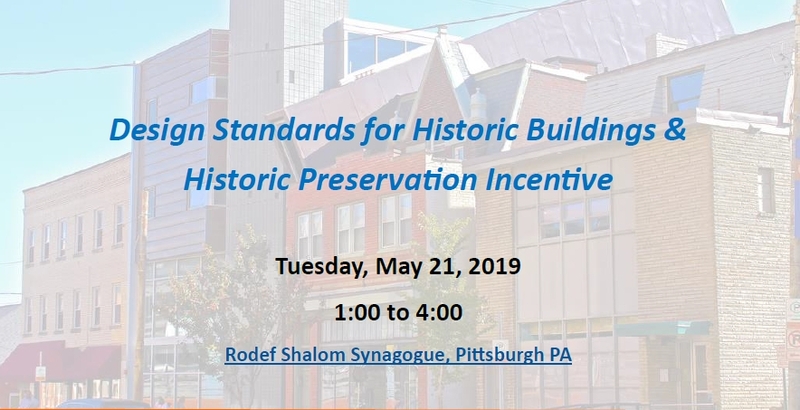 Join Preservation Pittsburgh and the Pennsylvania State Historic Preservation Office (PA SHPO) for this workshop to learn more about these important state and federal incentive programs. Registration is requested by Friday, May 17.